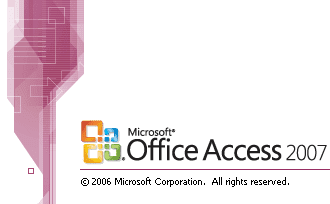 Microsoft Access 2007 is a part of Microsoft Office Package. It is an application software. It is a Data Base type program. It is also known as “Relational Data Base Management System” (RDBMS). The extension name of MS Access file is “.MDB”. 2) Table creation in Data Base. 3) Input any Data in the table. 4) Delete, Move, Copy the Data. 5) Form, Query, Report creation. 6) Import and Export the data from one location to another location. 7) Short the Data Base. 8) Filtering the Data Base. There are different parts of MS Access which you help you to know more about MS Access. Data Base: - Data Base is a collection of related information. In another word, Data Base is a group of related information. Object: - An Object is a competition in the Data Base. Such as – a Table, Query, Form, Macro. Table: - A Table is a grouping of related data organized in fields (column) and records (rows) on a data sheet. Fields: - A Fields is a column on a data sheet and defined a data type for a set of values in a Table. For example – SL No, Name, Course, Duration, Date of Birth etc. Record: - A record is a row on a data sheet and it is a set of value defined by fields. Data type: - Data type is the type of value that will be entered into the fields. Primary Key: - Primary key is a rule which is used to lock the database table. A primary key field holds a data that un quickly identified each record in a Table. Filter: - Filter is a quick easy way that is used to find any record from a list of Table. Form: - Form is an object of Date Base window that is primarily used to enter and display the data or record in Data Base. The extension name of Form is “.frm”. Control: - Control is a graphics icon that user allows on Forms and display the information. Example: - Label box, Textbox, Command button, frame, List box, Picture etc. Query: - Query is an object of Data Base window that is used to view, change, update, and analyzed the data in different ways. It can also use them as a source of record for forms, reports, and Data Access pages. Report: - Report is an object the database window that is used to present data in a printed format. Macro: - Macro is an object of Data Base window which helps us to “ automated common task”.